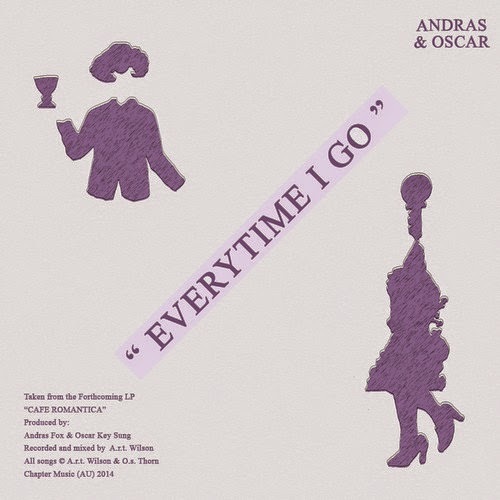 Smooth vocals coupled with some very pristine production make 'Everytime I Go' a very enjoyable listen. Melbourne musicians Andras Fox and Oscar Key Sung team up to release this, the first single from their new album 'Cafe Romantica' (out on Chapter Music on October 17 in AUS/NZ and through Dutch label Dopeness Galore for the rest of the world). The collaborative debut LP is the followup to last years much-loved 'Embassy Cafe' mini album. The guys will be launching the single this weekend, so if you're in Melbourne dust off your smiley-face t-shirt and head to Howler. Word.